Share your map editor snippets super fast with this clipboard-sharer! 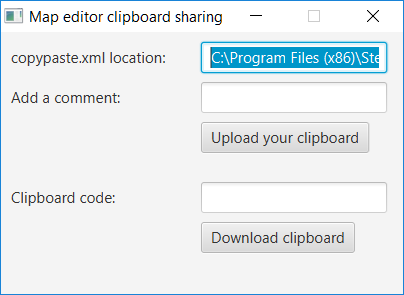 Copy anything into your clipboard, press Upload your clipboard and share the code. If you put a comment the snippet will appear in this page.